It's winter and the waders are here! 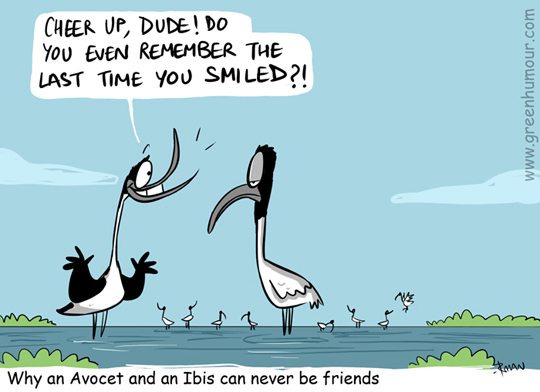 Avocets have upcurved bills, while Ibises have downcurved bills. From my column with Roundglass Magazine.